In the depths of European oceans, you'll find coral, sand—and old Heineken cans. Yup, human litter can be found even in the most far-reaching places on the planet, according to one of the biggest scientific surveys ever done of the seafloor. Using video and trawling surveys between 1999 and 2011, scientists analyzed 32 sites in the Atlantic Ocean, Arctic Ocean, and Mediterranean Sea. They found everything from bottles to plastic bags, clothing, and fishing nets—even more than 1,200 miles from land and nearly three miles below the water's surface, the Guardian reports. Not a single site was litter-free. That means your garbage is on continental shelves, ocean ridges, and deep canyons—the worst spot for garbage build-up, the study says. Plastic was most common at 41% of the garbage found, while 34% was related to fishing—think nets and lines. Also spotted: wood, pottery, glass, paper, cardboard, and even burnt coal residue left from steam ships more than 100 years ago. "This survey has shown that human litter is present in all marine habitats, from beaches to the most remote and deepest parts of the oceans," a researcher says. 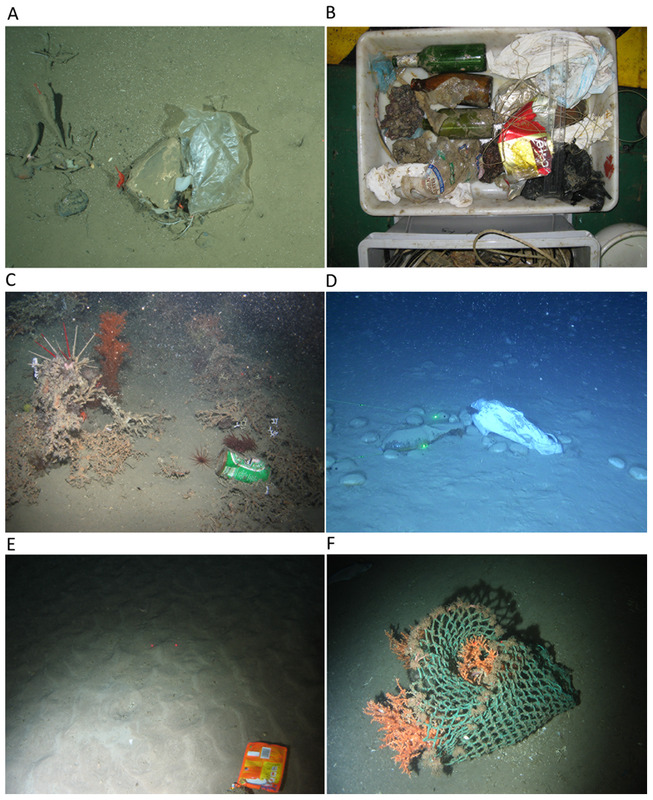 "Most of the deep sea remains unexplored by humans and these are our first visits to many of these sites, but we were shocked to find that our rubbish has got there before us." Smithsonian notes some 14 billion pounds of garbage enter the oceans each year, some of which animals eat, get tangled in, and often die.